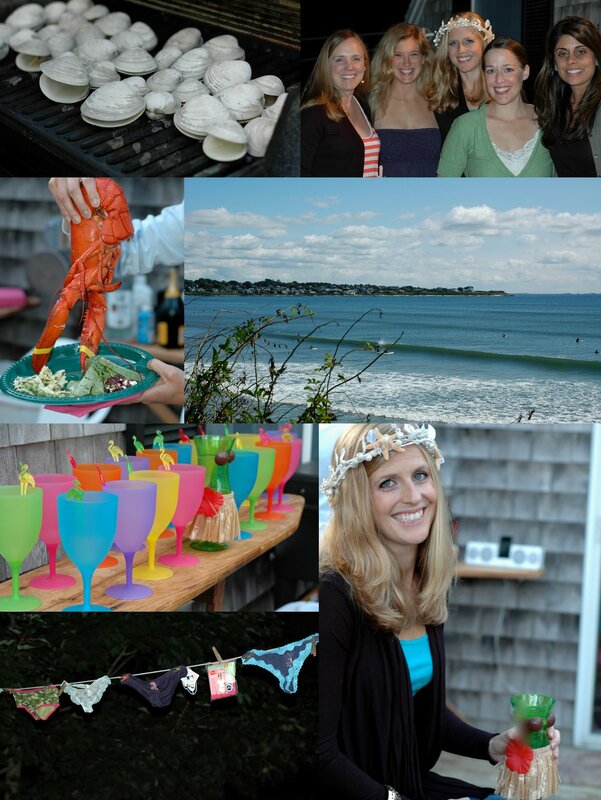 Here are some pictures from the bachelorette party I attended this past weekend in Cape Cod. It was so nice to get all the girls together and hang out Saturday. Ok I know you are going to ask about the undies so let me just go ahead and tell you. We played this fun game where everyone brings a pair of undies and Nicole has to guess who brought each pair. When she did not guess correctly (which was in almost all cases!) we started lining them up on this clothes line. I bought Nicole these ones from lululemon because I am literally addicted to them. Nicole's dear friend Kim, hosted a Surf and Turf bachelorette dinner at her Mom's place on the Cape Saturday evening. Afterwards, I thought about how much I love attending dinner parties and throwing them. In my opinion there is no right way to throw a party but here some tips that I have found to be helpful. 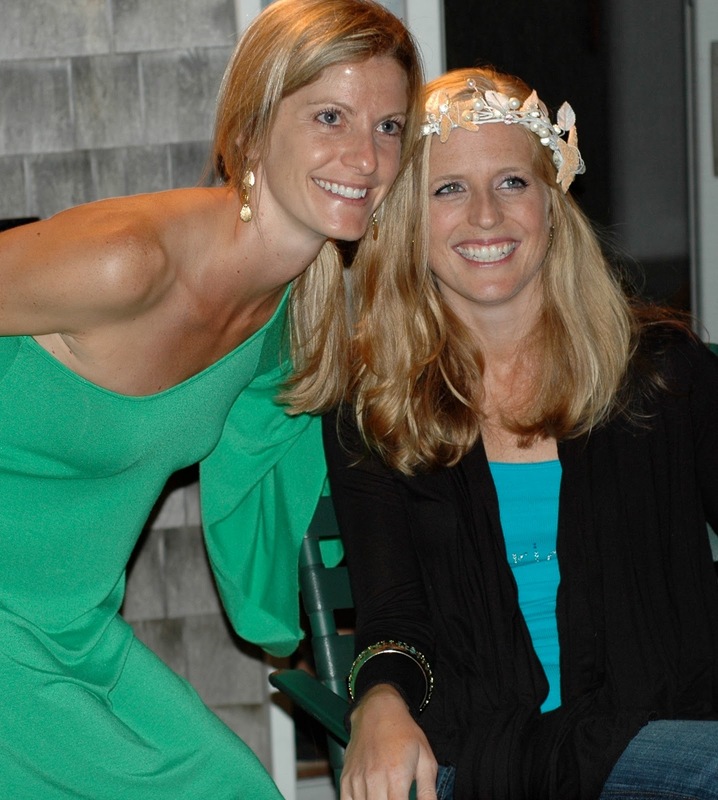 And Kim must find these helpful too because she did an amazing job hosting and planning this lovely dinner al fresco. 1. Keep the meal simple. This is not the time to be experimenting with new recipes. 2.. Organization is key. It helps to write down a schedule of everything you need to do for the dinner party. Also, prepare are much as you can prior to your guests arriving. The last thing you want is for your guests to be doing all the work. But if you do have guests assisting you then be sure to delegate. 3. Make sure your guests can eat what you prepare. So check if you have vegetarians, guests with food allergies, or just picky eaters. 4. Always have some good background music and select the music based on the event and the type of mood you are aiming for. 5. Make sure you have enough wine, cocktails, and and other drinks on hand. 6. Have fun with the decorations and details and and don't feel like everything has to match. Fresh flowers are always a bonus. 7. Last by not least make sure you give yourself plenty of time to get ready and look stylish!